Ready for some food & entertainment? 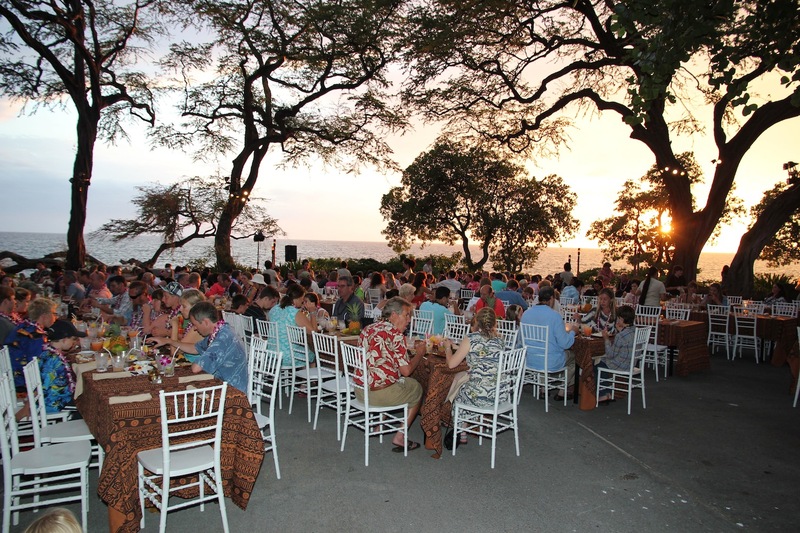 How about a Luau? 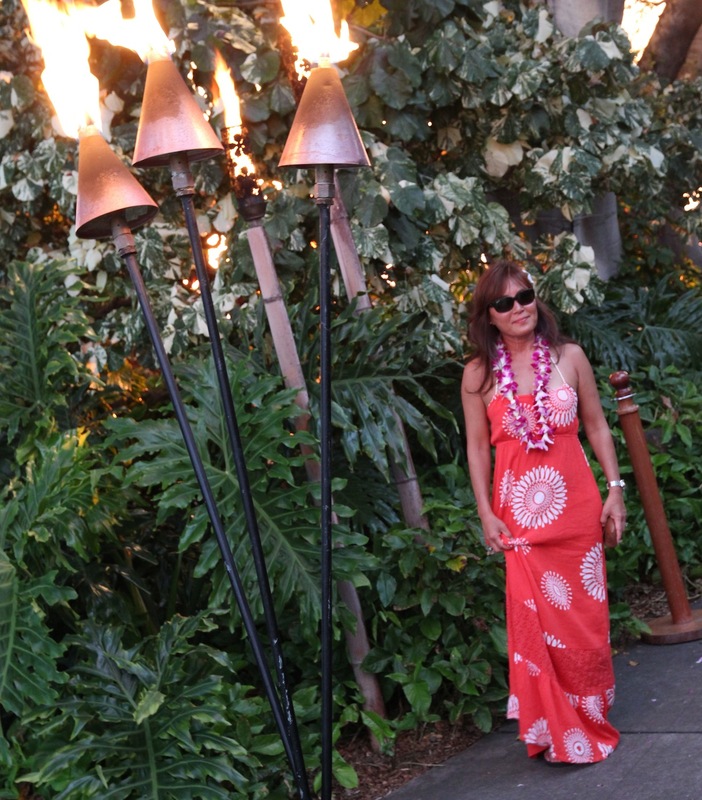 I’ve never been to one so when hubby said “we can’t leave Hawaii without going to a Luau,” I happily agreed! According to Hawaiian traditions, wear a flower behind the left ear, the side closest to your heart, to indicate you are in a relationship. Wear a flower behind the right ear to show that you are single and looking for someone. 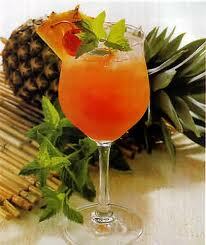 Give me food, Mai Tais and some dancing….I’m a happy ol’ gal! 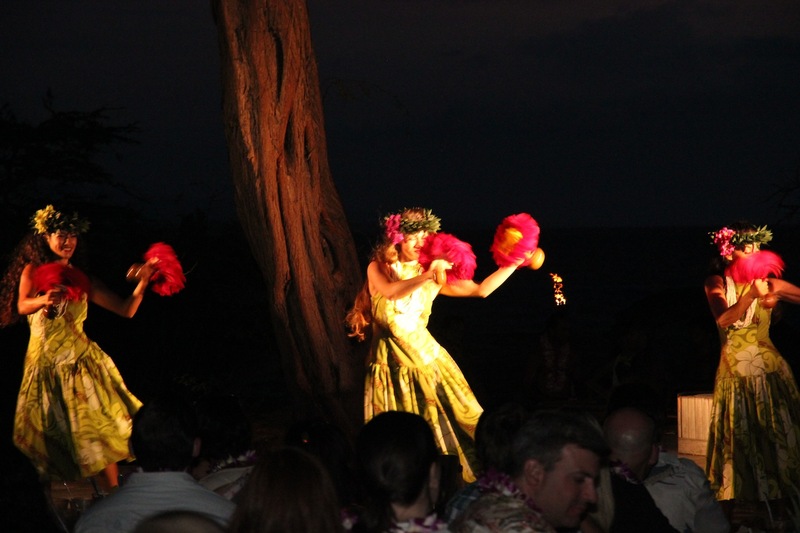 you gotta love a luau! it’s so much fun and you look gorgeous in that maxi. 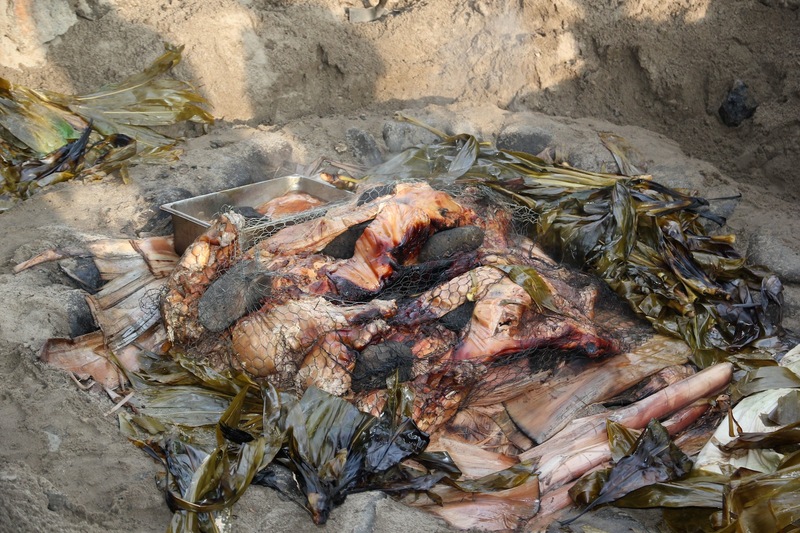 kalua pork is one of my absolute faves to eat!!! yum! Yes, the kalua pork was SO good! Actually, everything I tried was fantastic! Looks like you guys had a lovely trip! Laura, we DID have a wonderful time!! It was our first visit to Hawaii and it won’t be the last! I can’t think of anything lovelier than this, with the dancers, Mai Tais, right there in tropical Paradise, and the placement of the flower for advertising purposes (or not) is interesting! A good rule not to forget! Hawaii is one place I’ve never been, but many of my friends have and it always looks like such a lovely place to go. I love the flowers! Hawaii definitely agrees with you! Thank you! You should visit if you can…photos just don’t do it justice. It’s a gorgeous place, no doubt about it! Gorgeous pictures — and you fit right into the scenery! Happy Weekend! 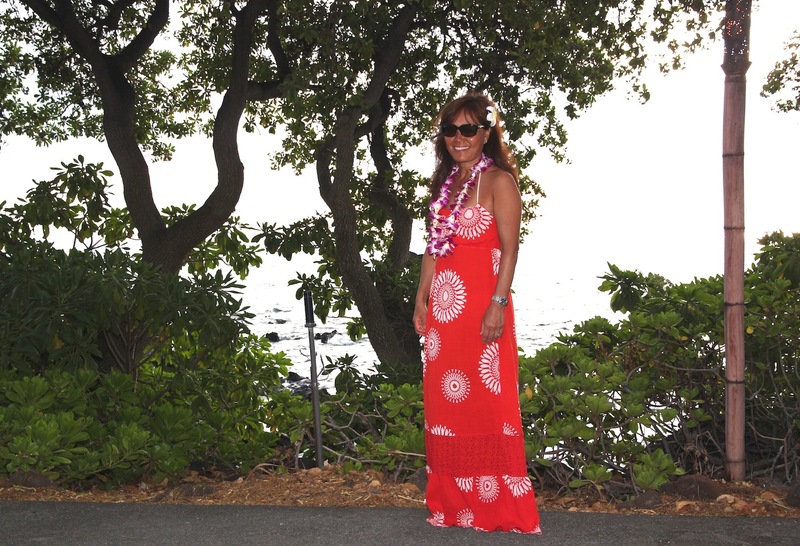 I felt like a native Hawaiian! It was incredible watching the show with the sun setting in the background. So cool! Hope you have a good one as well! Be safe! 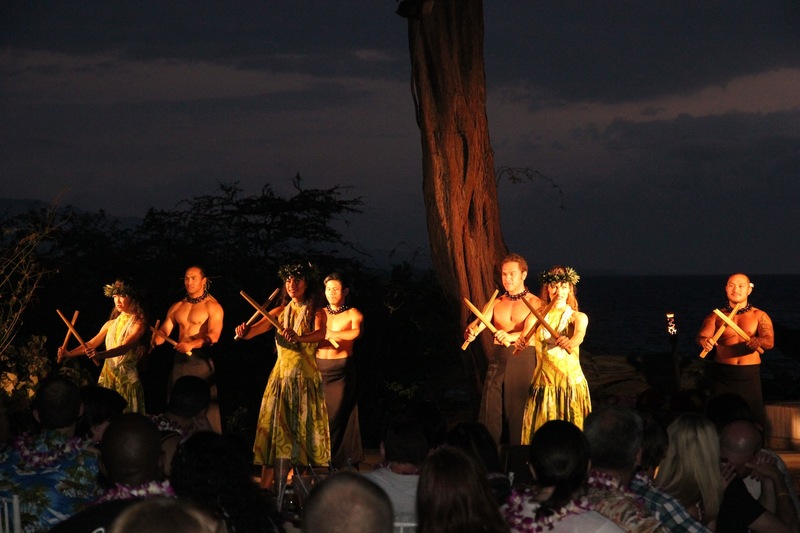 Luau scene, including you and your beautiful red dress! 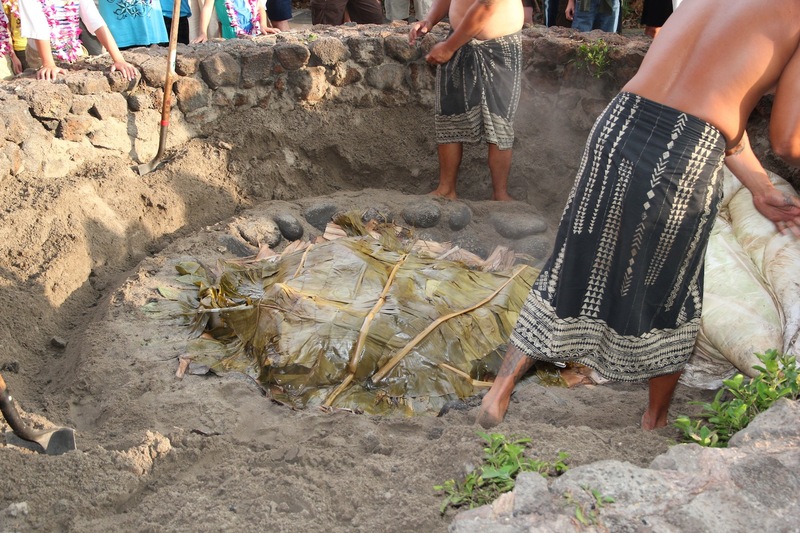 I felt like an islander! 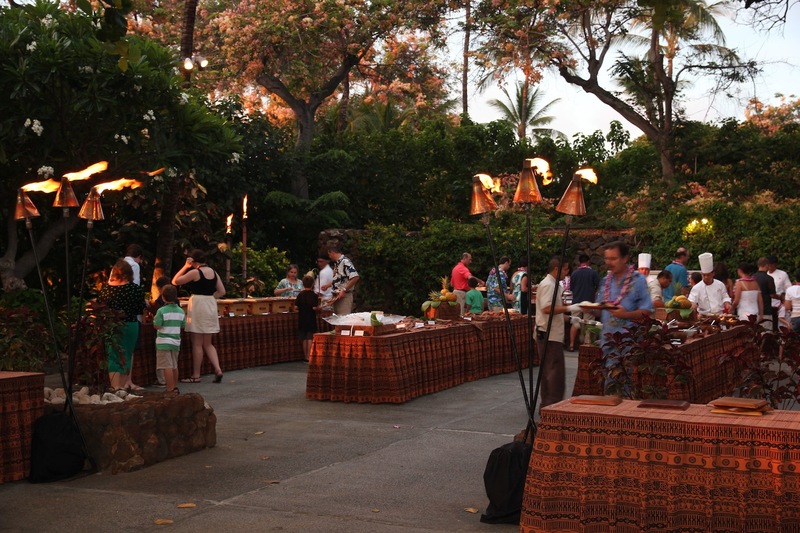 That luau looks mighty fine on you! Why thank you Ms. Lynne! Looks like you had a wonderful time! The uncovering of the pigs is quite interesting! You look happy and your dress is beautiful. Keep having fun in Hawaii! Thank you! It really was fun & amazing time in Hawaii. Looks like so much fun! Love your dress—perfect for the occasion! Have a wonderful weekend! I love the plumeria behind your ear! It reminds me of our time on the island of Saipan last summer. Haha thanks!! I felt like an island girl! The fresh orchid lei was so pretty!! I was quite surprised that they were fresh flowers! Just love your dress and the Luau looks like so much fun 🙂 Nothing like a cocktail when in Hawaii!! 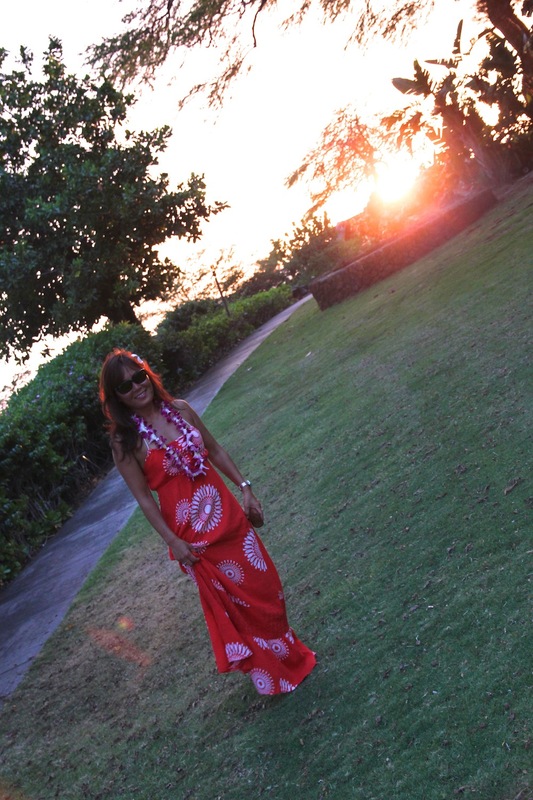 Maxi dress….favorite! 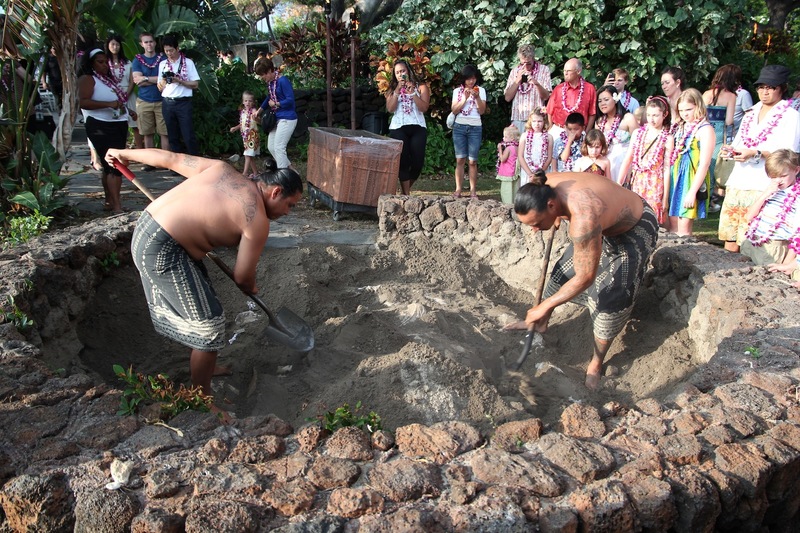 Love seeing all the great cultural activities you embarked in while there. So stinkin’ beautiful too! Gorgeous dress. A lovely design and a spectacular color. You look perfect in this environment. The flower in her hair is a touch of fun. I hope it wasn’t too bright or too young. It’s a fun dress for a fun event. Love that dress for a Luau and it looked like a lot of fun. So happy that you had a great vacation. Makes me want to go! Hubby said he would try your recipe but haven’t had the time yet. So you went to Kauai? Don’t you love that island? And, I love Queen! Went to his concert back in the late 70’s…Freddie was soooo talented! I wish I had seen Queen live during their hey-day. That would have been something! It’s been over 10 years since I’ve been to Kauai and I absolutely loved it. We snorkeled in Poipu, hiked, did a heli-tour, and were in awe of its natural beauty and laid-back style. I’ll never forget that stretch of trees that you featured. It’s just gorgeous and fairytale like. Thanks for bringing me back to that moment. Oh, I’ve got a shortcut for the risotto: tell your hubby to just cook the carrots per the recipe and then add them to your box of risotto with a splash of white wine. It’ll still be amazing and less time consuming. Cheers!